Charter a private flight to Leipzig, Saxony’s largest city located in central Germany. Whether flying private for business or leisure, we can help arrange the right aircraft and flight itinerary that best meets your needs. Jet Charter Europe believes in providing private flyers with a one-on-one consultative service experience that exceeds every expectation. We understand that your time, privacy, flight preferences and most of all, safety, are all extremely important. Our Leipzig Jet Charter representatives are available for you by phone and email 24 hours a day, 7 days a week. When using our private aviation service, you can expect quick response times and an easy, hassle-free booking process. Request a quote or call us to arrange your private flight to Leipzig, Germany. 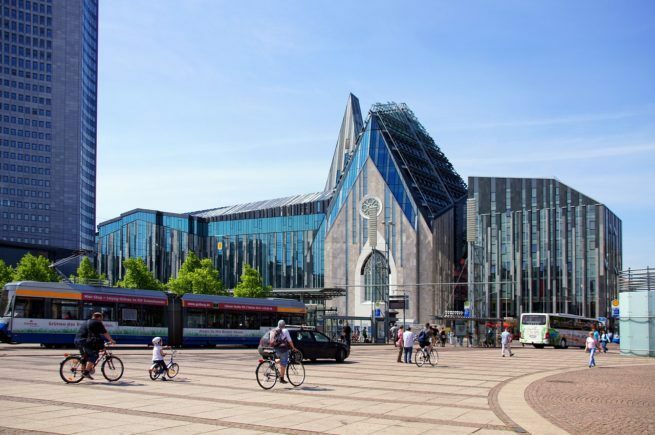 Leipzig, the largest city in the federal state of Saxony, is Germany’s fourteenth largest city and located about 100 miles southwest of Berlin. 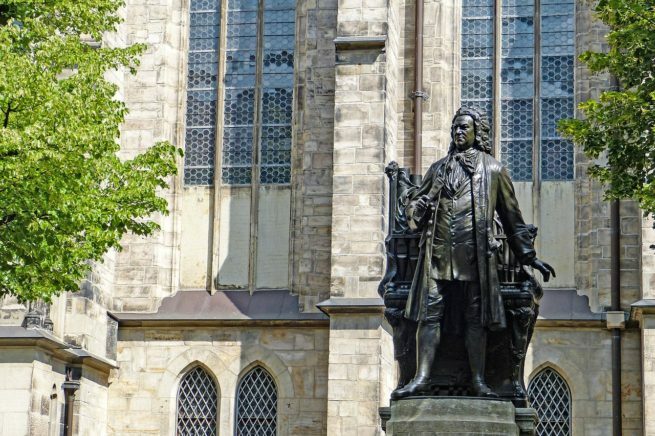 The city has been a major trade center since at least the time of the Holy Roman Empire, and is most famously known as the place where Johann Sebastian Bach worked as a Kapellmeister (Thomaskirche), as well as the site of his remains. The city offers many hotel options for luxury vacations, getaways, business trips, and special events. We’ve put together the following list of luxury hotels based on many factors including Jet Charter Europe passenger feedback, location, amenities, and online reviews. Once arriving in Germany via luxury private jet, our private aviation representatives can also arrange ground transportation to/from the hotel of your choice. Surrounded by water, Leipzig is located at the confluence of the Parthe, Pleisse and the White Elster rivers. It’s also home to many small canals that are connected so private jet charter visitors can get around by boat – there are actually more bridges here than there are in Venice. Open mines have also been flooded to create a number of seas, including the most famous one, the Cospudener Sea. The Augustusplatz, a square located at the east end of the city center, is the city’s largest square and one of the largest squares in Europe. Martin Luther preached at St. Thomas Church in 1539, and Johann Sebastian Bach was choirmaster of the church from 1723 to 1750. Decorated with paintings by modern artists and well known for its outstanding acoustics, the Neues Gewandhaus is home to the Leipzig Gewandhaus Orchestra. You can also explore the three buildings housing ethnography, applied and decorative arts, and musical instrument collections at the Grassi Museum. Check out more of our recommendations for luxury private jet travelers staying in Leipzig, Germany. Jet Charter Europe utilizes the following airport to fly clients privately to/from Leipzig, Germany and neighboring areas. Request a Quote or give us a call at 1-888-987-5387 to speak with one of our Leipzig Private Jet Charter service brokers for your next luxury vacation, business trip, or special event.